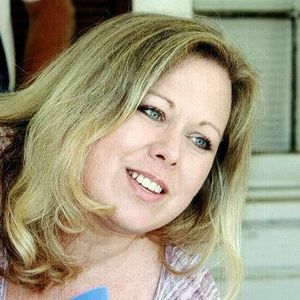 Tamara Kay Shellnut, 43, of Ward, Arkansas, was born May 29, 1968, at Little Rock, Arkansas, and she went home to be with her Lord and Savior Tuesday, May 1, 2012. She was a joyful Christian, thankful for God's grace and was strong in her faith. She was referred to as a ray of sunshine by her co-workers at Blue Cross Blue Shield. For the past two years, she was an amazing "GeeBaw" to her grandson, Gage, and for many years, a wonderful wife, mother, daughter, sister, amazing friend and homemaker. Tamara is survived by her daughter, Shelby Borel (Daniel) of Beebe; son, Dallas Carson of Ward; her grandson, Gage; her parents, Kennedy and Glenda Bittle of Mabelvale, and Doris and Larry Hutson of El Paso; sisters, Monica Griffith, Shannon Reid, and Karen Stephens; and brothers, Todd Bittle and Reggie Hutson. She was preceded in death by grandparents, Joe and Edith Bittle and Orville and Johnnie Lee Galloway. Family will receive friends from 6:00 to 8:00 p.m. Friday at Westbrook Funeral Home, Beebe. Funeral will be 11:00 a.m. Saturday, May 5, 2012, at Vilonia First Baptist Church, with Dr. John Hamby officiating. Burial will be at 3:00 p.m. in Pearson Cemetery, Pearson, Arkansas. The beautiful and interactive Eternal Tribute tells Tamara's life story the way it deserves to be told in words, pictures and video. Doris,Larry and family , We just heard of Tamara's passing. It was so surreal we just couldn't believe it was true. We wanted you to know how very sad and with a very heavy heart that we send this message. As one mother to another I know how devastating this must be. Please accept our deepest and most sincere condolences.You will be in our prayers as well as Tamara. Our beautiful cousin has gone on to be the Lord. She will be greatly missed here on earth. May God keep you close. Go bless You Ken and family. To Tamara's family - the Bryant High School Class of 1986 is thinking of you today. Love and sincere sympathy to Ken Bittle and family, and all others who knew and loved Tamara. We are deeply saddened by your loss. TAMARA WAS VERY SPECIAL TO ME EVEN THOW WE ONLY KNEW EACH OTHER FOR A SHORT TIME.SHE WAS BEAUTIFUL TO ME INSIDE AND OUT SHE MADE ME FEEL GOOD ABOUT MYSELF.WE HAD SUCH A WONDER TIME LAST SATURDAY SHE COOKED US A GREAT MEAL WE TALKED UNTIL 2AM JUST SHARING OUR THOUGHTS,WANTS,AND NEEDS.WE TEXTED EACH OTHER ON TUESDAY SHE SEEMED VERY HAPPY AND CONTENT WITH HER LIFE.MY PRAYERS AND THOUGHTS WE BE WITH ALL THAT WAS CLOSE TO TAMARA.SHE IS NOW DANCING IN HEAVEN JUST WAITING FOR US TO JOIN HER THERE. the edges and ease your burden. So shocked and sorry for your loss. Not only did I have the pleasure of working with Tamara when she worked at Entergy but felt as if I had known her most of her life by working with you over the years and hearing stories of Tamara and Monica. My thoughts and prayers are with you and your family at what must be the most difficult time in your life. We are terribly sorry for the loss of your beloved Daughter/Sister/Aunt Tamara. Though we didn't know her very well, like all of your family she was very sweet & we could tell she was a good Mom to her children and Gmaw to her Grandson Gage. I pray that you are all comforted by knowing that she was strong in her faith & that means she will have everlasting life with our Lord and that we will all meet up again in the next stage of life. I am praying that God will comfort all of you in your time of sorrow, lean on Jesus. He is there for you. DORIS, I CAN NOT EVEN IMAGINE WHAT YOU ARE GOING THROUGH, BUT I AM PRAYING THAT GOD WILL WRAP YOU IN HIS ARMS AND COMFORT YOUR HEART AT THIS TIME.